Although I am against the vast commercialisation of Valentine’s Day, Imust admit I still enjoy receiving a lovely card from that special someone (hint, hint). Let’s celebrate hearts and flowers in my garden. 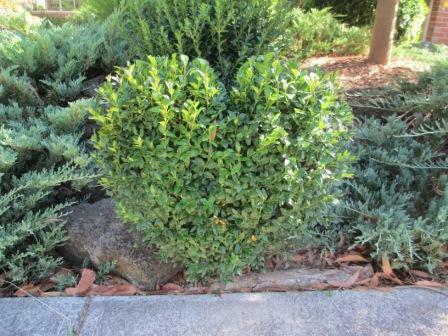 Adjacent to the footpath (sidewalk for USA readers , pavement for UK), is an english box that I have shaped into a heart. 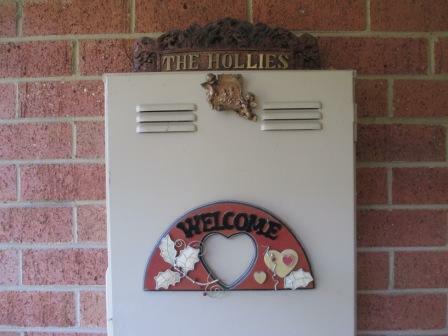 Walk up the path to the front door, and you will see more hearts decorating the metre box. 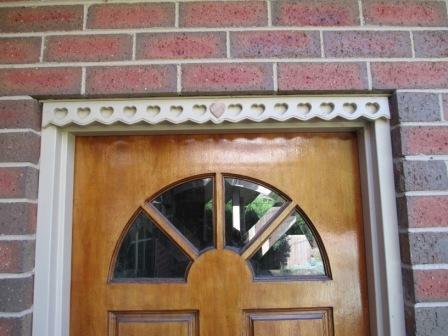 If you head towards the garage door, a row of hearts sits above the door, cleverly disguising the metal lintel that jutted out and annoyed me, particularly because it was visible through the lounge room window. 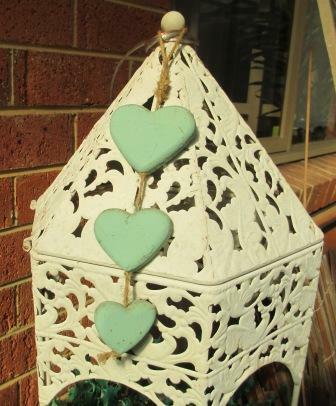 Adorning this cute little white cast iron is a string of hearts. 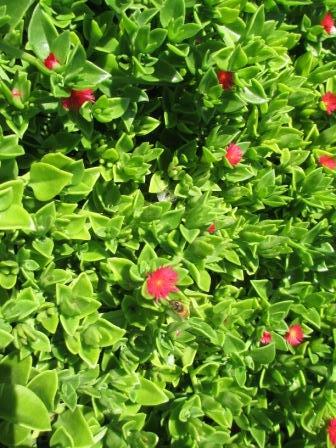 In the front garden there are seaside daisies and a succulent with bees buzzing merrily throughout the little pink flowers. The coriander flowers are delicately pretty. Unfortunately every coriander plant I have seems to bolt to seed before I get to use much of it. Maybe next time? Even artificial flowers have their uses in dark corners of the patio. 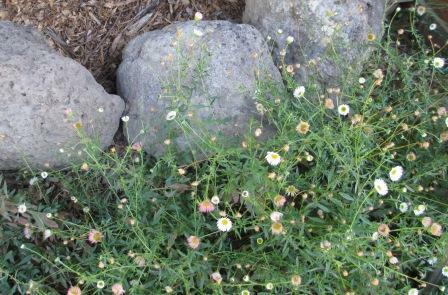 Seaside daisies keep on keeping on, and are particularly nice in a cottage garden. Lobelia in a pot makes a vibrant display. 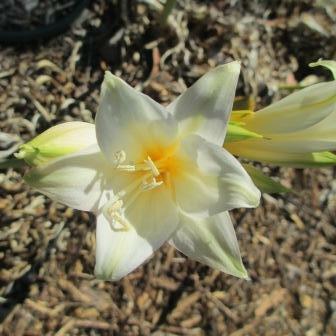 Lovely lilies have come into bloom in the backyard. I am fascinatied how the leaves come up, die back and then finally the flowers make their spectacular appearance unencumbered by foliage. 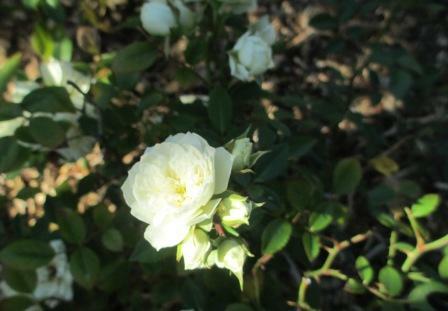 The larger rose bushes seem to have temporarily exhausted their supply of blooms, but the miniature roses are still going strong. 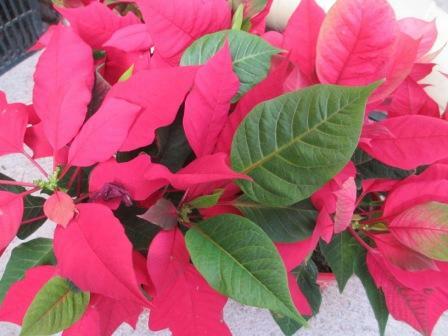 Poinsettias from Christmas have lasted well, as I have been vigilant about keeping the pots nice and moist. 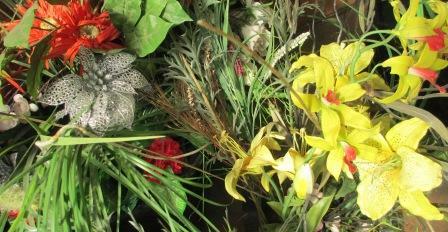 On those ridiculous 38 – 40 degree days (yes – Celsius), I have even brought them inside for some respite from the heat. 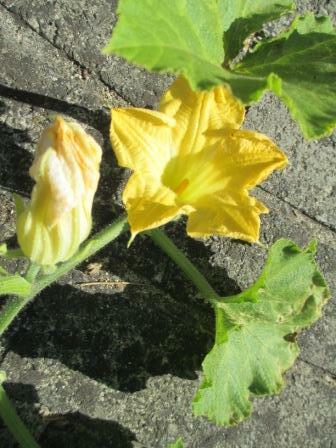 Whilst not your usual cut flower, these pumpkin flowers are bright and colourful in the garden. 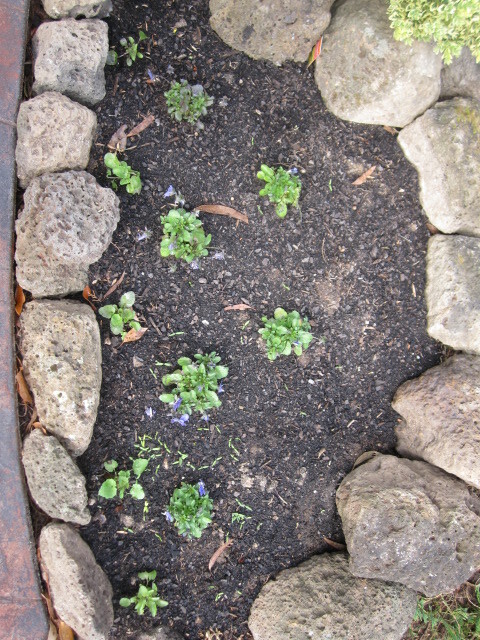 And lastly, some salvia grown from seed. 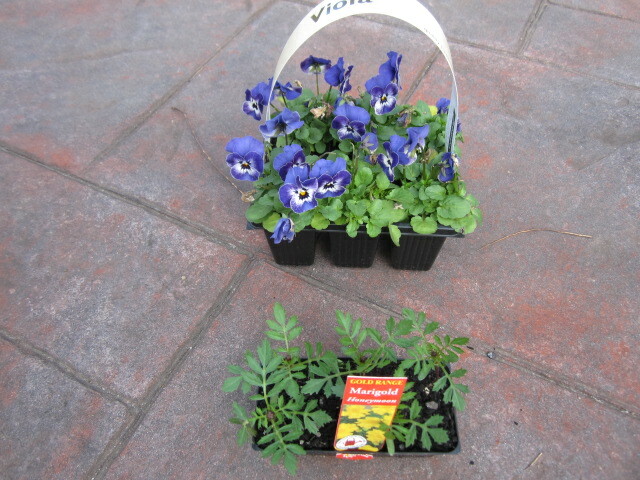 Somehow I had labelled it “capsicum” so was rather surprised when these appeared. I thought I had hardly any flowers in the garden, but on second thoughts it’s as if my own garden is wishing me a Happy Valentine’s Day, ‘cos maybe my love is reciprocated! 264/366: excuse me, but where are my marigolds? 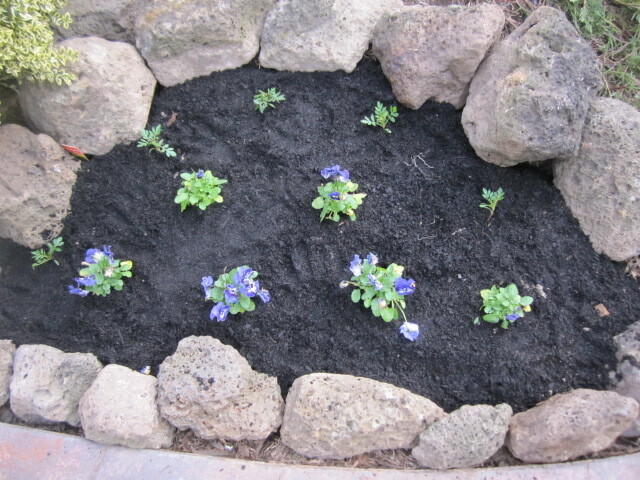 I was so pleased that I had planted some nice little annuals in my new garden bed within a garden. 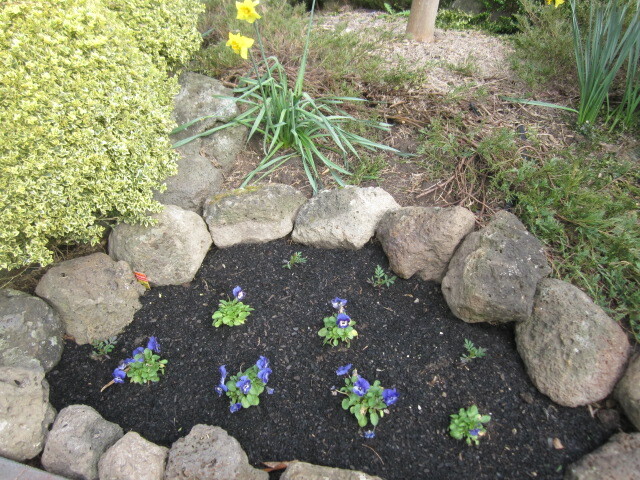 The marigolds and pansies were going to be such a delightful mass of colour. 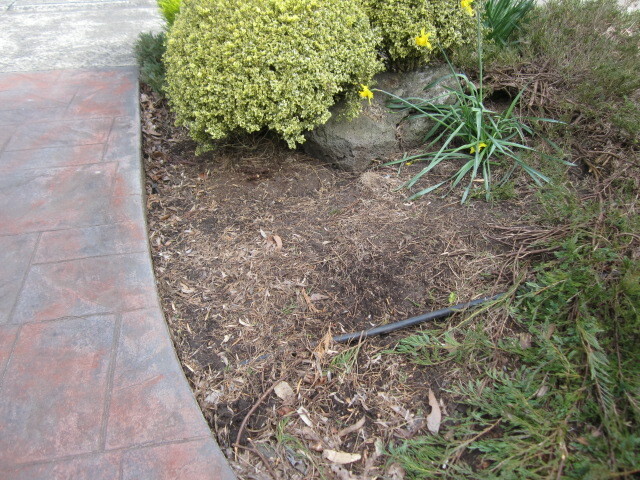 Now the question is: whatever happened to the two punnets of marigold seedlings I planted? 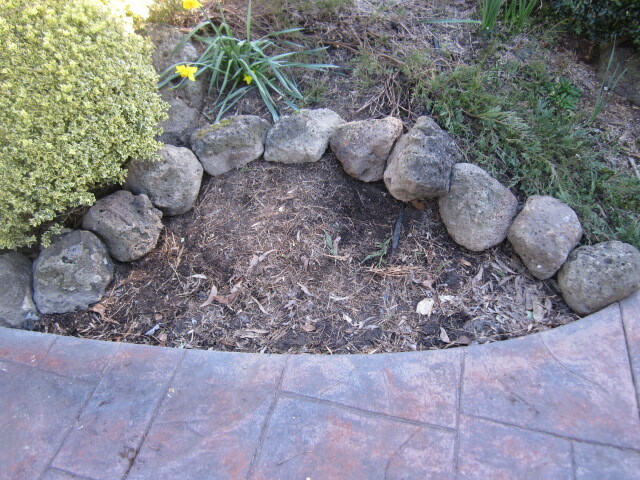 I suspect snails have something to do with it, unless Shadow the semi-vegetarian cat took a liking to them. I prefer not to use snail bait, so maybe I will have to address the problem with some lateral thinking. 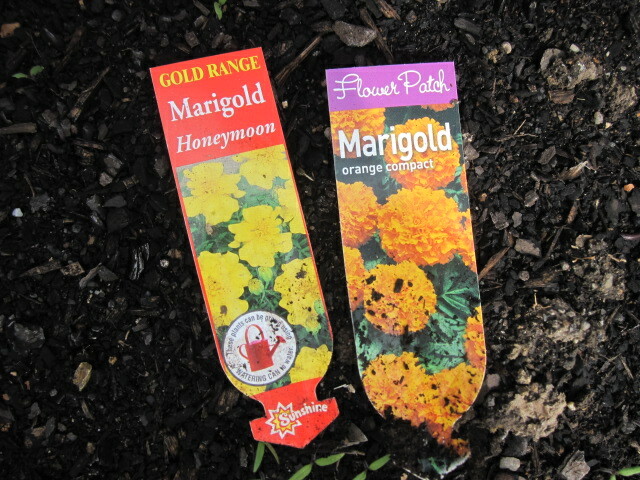 All that is left of the marigolds are the little tags that came with the punnets. 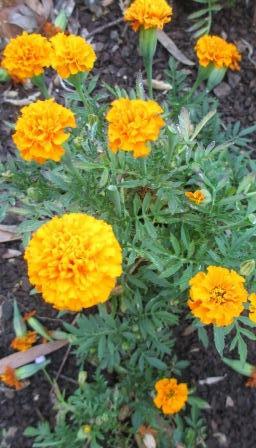 It’s not like I’ve never had success with marigolds before. They have provided some beautiful colour in my garden in previous years. 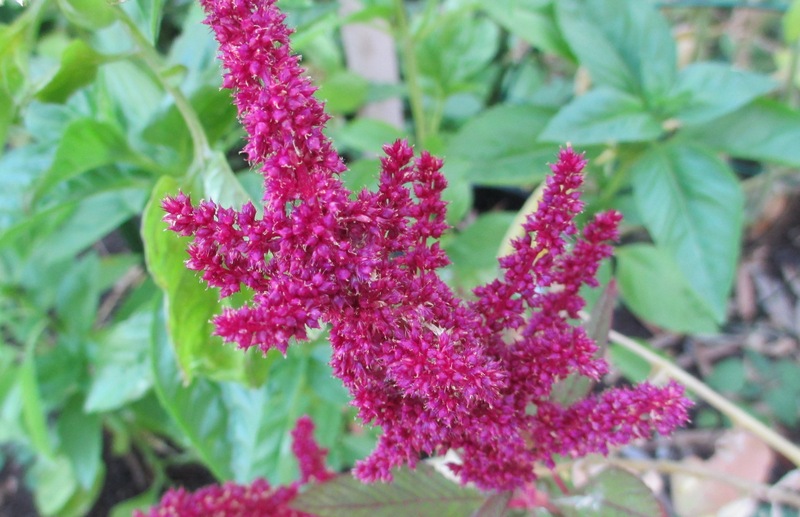 Maybe next year I will actually start with some seeds and grow so many that if there is some natural attrition it won’t be a problem, because I will have planted so many. 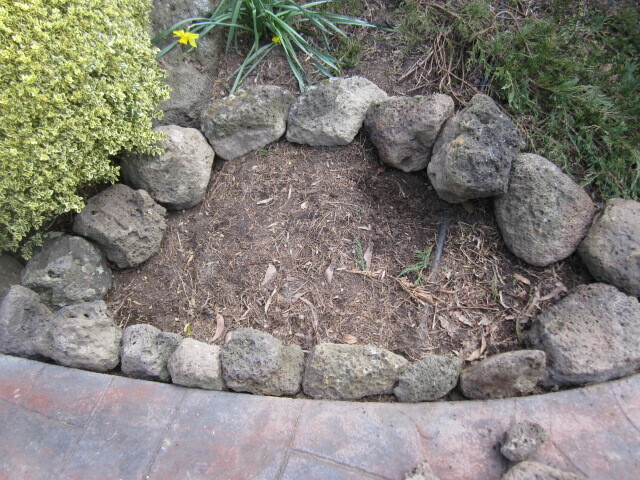 Utilising some of the honeycomb rocks I received from my neighbour, (Rock on),I have created a little garden within a garden, sectioning off a curved area from the rest. I am looking forward to a nice mass of gold, purple and green in the not-too-distant future. 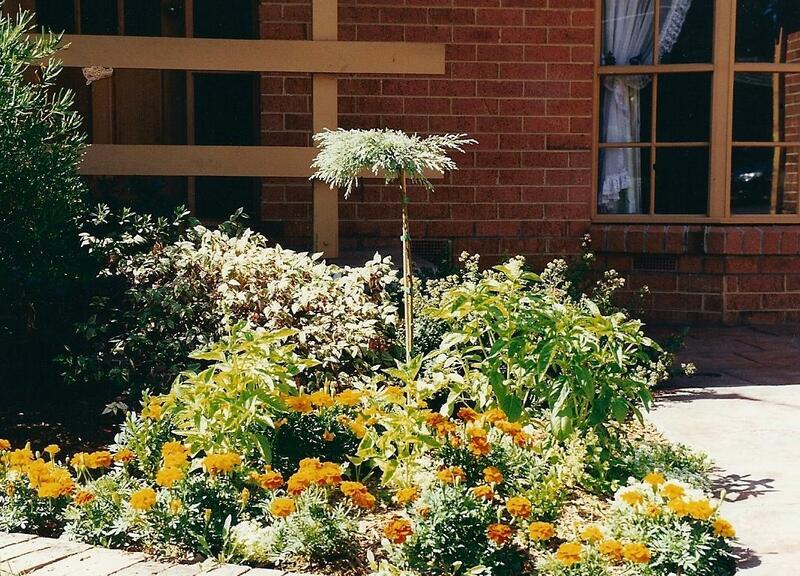 A few months ago I wrote about a planter pot that I thought was finished, as the leaves looked sad and wilted. Meanwhile, I moved the pot from behind the post closer to my herbs, which I do occasionally water, unlike many other areas of my garden. So what a pleasant surprise I received when they rewarded me with some flowers! 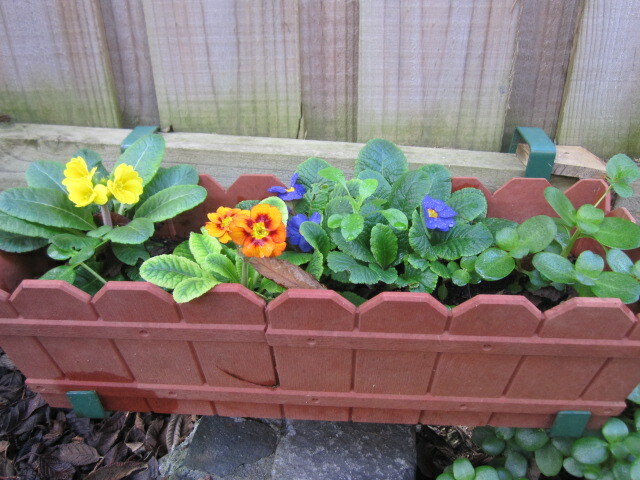 Correct me if I’m wrong, but I think they are polyanthus.